As described above, the PRRS virus immune dysregulation on APCs can interfere with the correct development of both Th1 and Th2 responses. This fact could lead to delayed mobilisation of adaptive immunity cells and, consequently, slow production of NAs. An immunodominant non-neutralising epitope is located near a neutralising epitope. An early and strong humoral response would occur first against the immunodominant epitope, whereas the response against the epitope that induces the production of NAs would appear much later. Membrane proteins are often modified with chains of sugars, known as Glycans. N-glycans are the kind of glycans that can be found in PRRS virus. 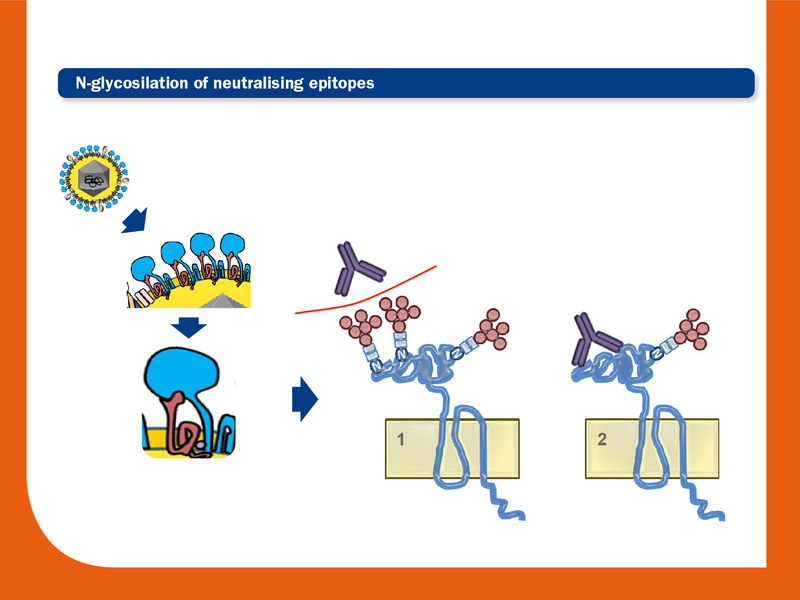 The presence of these N-glycans inside or flanking neutralising epitopes can act as a shield that could mask these epitopes and may interfere with the avidity and specificity of antibodies. The pattern and number of these glycosylations vary among PRRS virus isolates. Several potential glycosylation sites have been observed: up to 6 in GP3; up to 4 in GP4; and up to 4 in GP5 (3 in PRRSV1 and 4 in PRRSV2). Interestingly, studies using field strains and their deglycosylated mutants have demonstrated that titres of NAs are higher in pigs inoculated with mutants, and also that these mutants are more susceptible to neutralisation by preformed NAs. PRRS virus induces polyclonal B activation and lymphoid adenopathy. There is an apparent loss of the primed B cell subset (CD2−CD21−) in PRRS virus-infected pigs, resulting in poor affinity maturation and generation of memory cells. The high genetic variability of the virus could also play a major role. During the infection, continuous creation of escape mutants could prevent the correct development of NAs. In this sense, it has been also observed that variations of ORF2-4 and ORF5-6 during early infections could increase the resistance against NA. 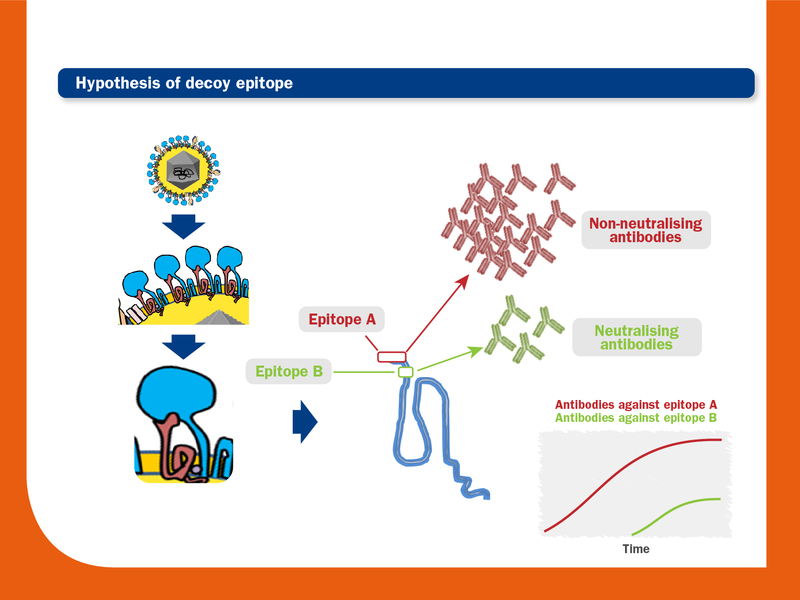 Epitope A would induce a robust and rapid non-neutralising humoral response, while neutralising-antibody production against epitope B would be low and delayed. In this example, the presence of N-glycans inside or flanking neutralising epitope in strain 1 acts as a shield for the preformed antibody.